Ever since my Jammy Dodger pin landed on my doorstep last month, I've been super excited about getting my next one. 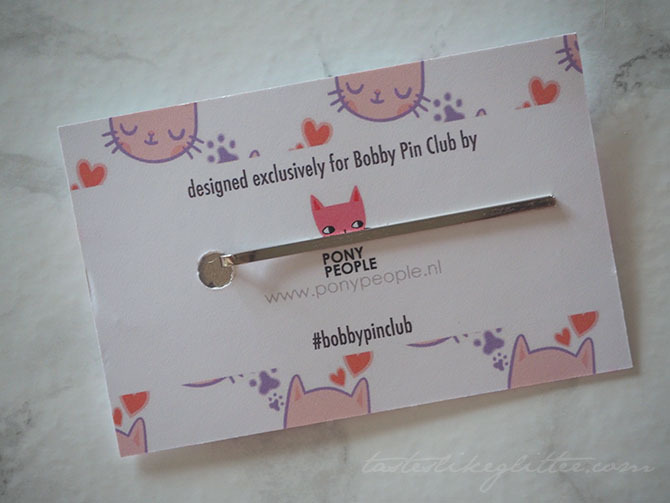 For the June pin Crown & Glory teamed up with Anne Knispel from Pony People. Anne is a Netherlands based illustrator who has a penchant for animal based designs, especially cats. Cats? That's right up my street! 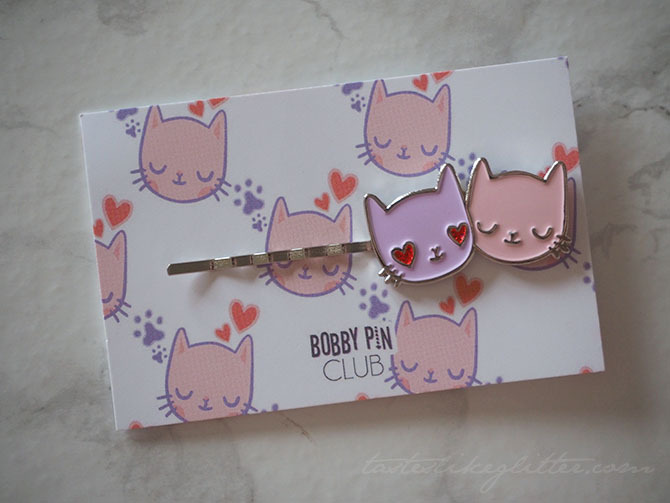 I was so excited when I opened this kitty pin. 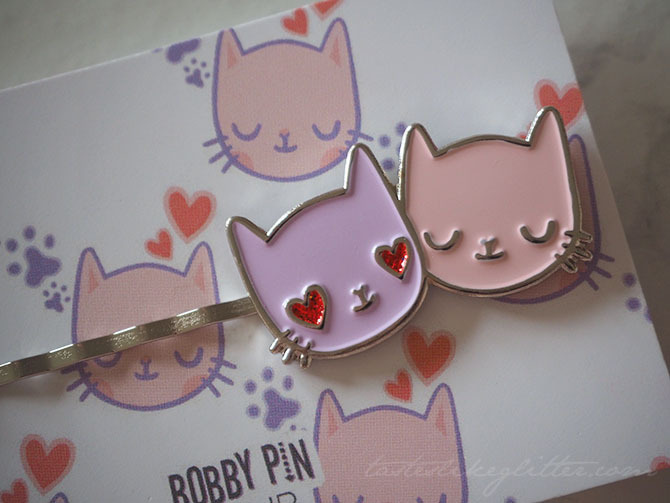 It features two kitty heads, enamelled with pastel shades in lilac and pink. With one of them featuring red, glittery heart eyes. It reminds me of the heart eye cat emoji. All finished up on a silver toned pin. Compared to last months pin it has a little less height but quite a bit more width. As these are made completely of metal, they feel extremely well made and durable. 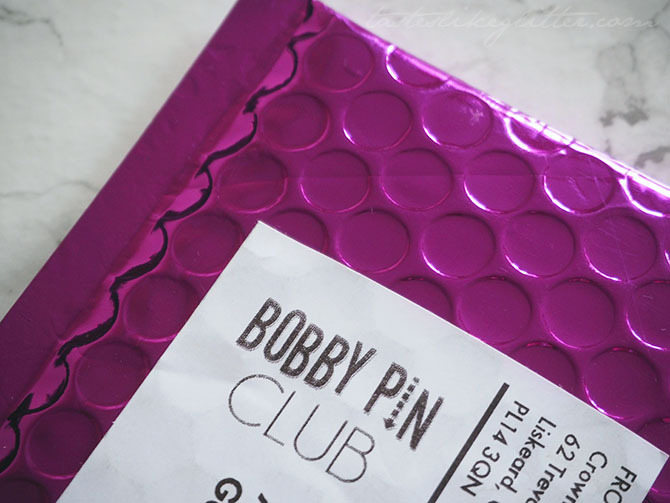 I really like the idea behind the Bobby Pin Club. Each month Crown & Glory team up with illustrators and designers from around the globe to design and create an exclusive pin for the monthly subscription. It's a nice wear to jazz up a simple hairstyle and I can't wait to see what next month brings us.